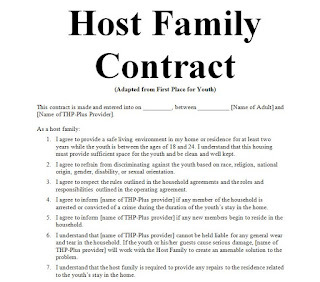 This contract is made and entered into on _________, between __________ [Name of Adult] and [Name of THP-Plus Provider]. I agree to provide a safe living environment in my home or residence for at least two years while the youth is between the ages of 18 and 24. I understand that this housing must provide sufficient space for the youth and be clean and well kept. I agree to refrain from discriminating against the youth based on race, religion, national origin, gender, disability, or sexual orientation. I agree to respect the rules outlined in the household agreements and the roles and responsibilities outlined in the operating agreement. 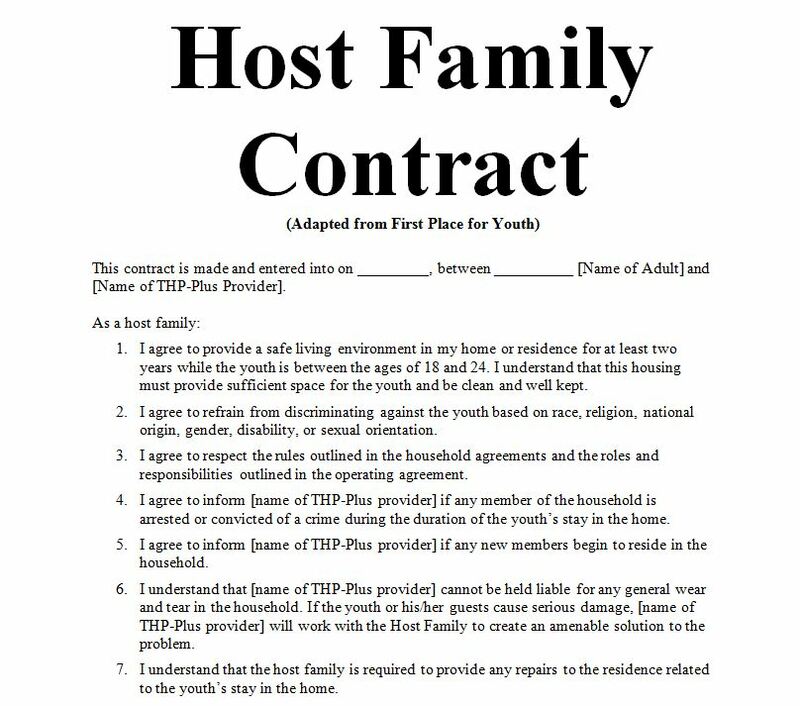 I agree to inform [name of THP-Plus provider] if any member of the household is arrested or convicted of a crime during the duration of the youth’s stay in the home. I agree to inform [name of THP-Plus provider] if any new members begin to reside in the household.